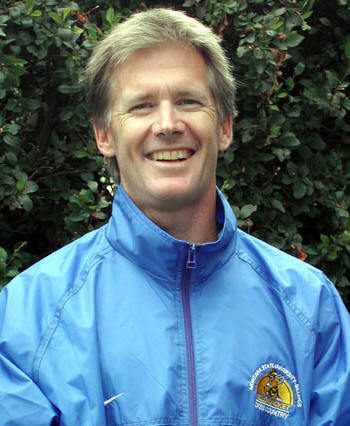 Dave Coppock is in his 16th season as head coach of both Yellowjacket cross country teams. A former cross country runner at the University of Northern Iowa and University of Montana, Coppock has produced 13 All-Conference and three NCAA All-Region runners. His teams have placed as high as second in the Pacific West Conference and fifth in the NCAA West Region. Under Coppock's guidance, the Yellowjackets have also been ranked as high as No. 16 in the Nation. In addition to the success Coppock's teams have had on the course, they have also been among the most successful teams in the nation in the classroom. In 2001, the women's team earned the highest combined GPA among Division II cross-country teams while the men's team ranked eighth. A 1979 graduate of Montana with a degree in geology, Coppock still runs competitively. He was named the Montana USATF Road Racer of the Year in 1997.